Whether you are browsing through a shop, or checking out the latest styles online; how many times have you said to yourself "If only I could see clothes on someone the same size as me!" I'm betting hundreds, if not thousands of times. I know that I have. When you are a plus size woman in particular, 99% of the time the model you see wearing the dress that you want is not your size. The way it looks on her will not be the way that it looks on you. What I have done in the past is order a large selection of clothing and hope that one or more items look the way I want it to. That is obviously not ideal, particularly if you are on a budget. However, no matter what size you are, even if you did see a model wearing your exact size, you are not guaranteed that it will look the same on you either. Two people can have the same dress size, but look completely different in it due to their difference in shape. A larger bottom, a smaller waist; large breasts; tall or short; all can make a vast different in how clothes look on you. so you never really know until you try something on. Until now. It turns out, there is another way. 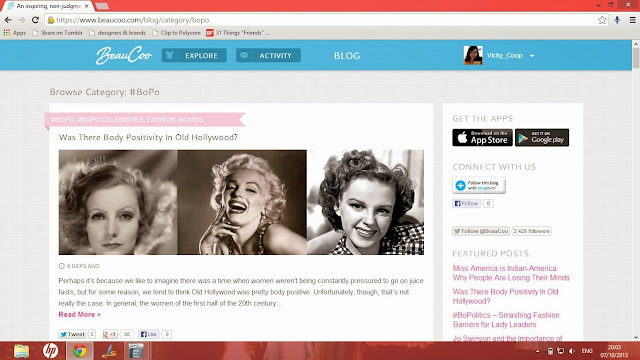 I recently discovered a site called Beaucoo. Beaucoo enables users to upload their photographs via their Android or Iphone apps of what they are wearing that day. Now how it that different to any number of fashion blogs out there? Well, the difference is that when you join Beaucoo alongside creating your profile, you also enter your measurements and your height. These are stored confidentially and are not visible to other users. Hit the “Fit Match” button and hey presto, pictures of women with your measurements are shown to you, wearing whatever they have posted on to the site. Along with the photographs are the size they are wearing, wear they got it from and along, how it fits. What I particularly love is that because the photographs are uploaded by regular people, the outfits have also been styled in their own way so you can also get inspiration of how to wear your garment. 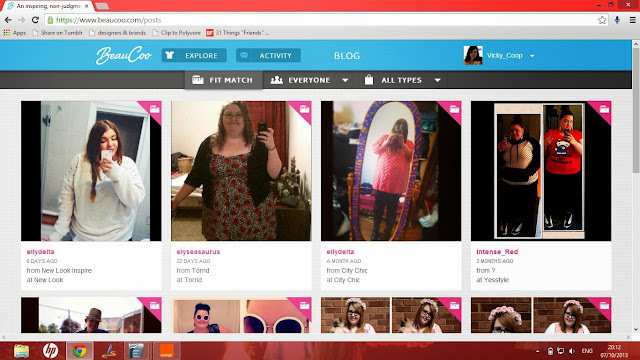 Beaucoo is an amazing site which not only lets users share their pictures for the benefit of others, but also promotes body positivity across all the social networks, just search for the hashtag #BoPo. Check out this Video to see what their message is. 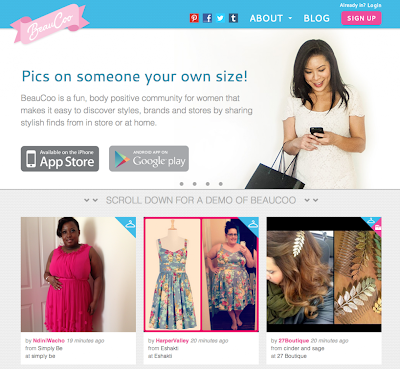 Beaucoo offer a number of buttons to enable you to spread the word on your blog or website and also have a blog themselves which covers a variety of subjects including body positivity, plus size and petite fashion as well as celebrity style and DIY fashion which offers many tips, trick and ideas to help you out. Like me, I think that you'll find Beaucoo becoming the indispensable wardrobe aid you can't live without! .Thank you for posting Hd Wallpapers this kind of post.